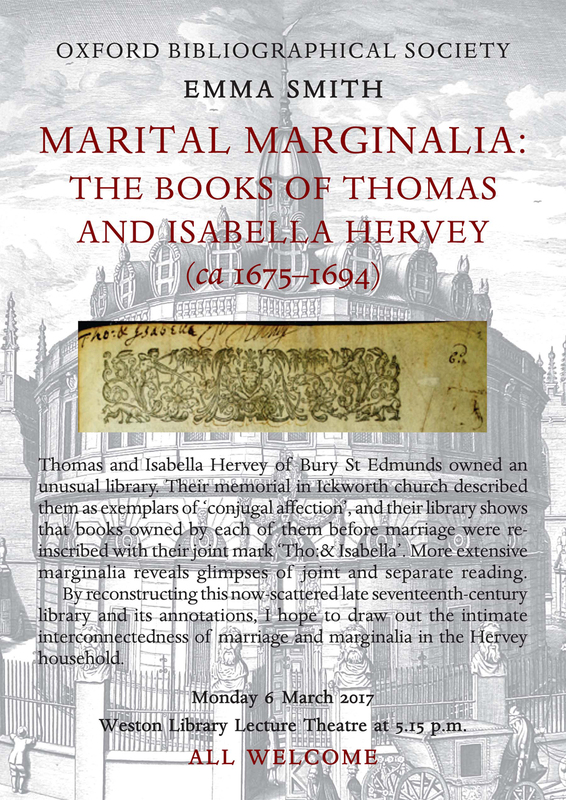 Thomas and Isabella Hervey of Bury St Edmunds owned an unusual library. Their memorial in Ickworth church described them as exemplars of ‘conjugal aƒection’, and their library shows that books owned by each of them before marriage were re-inscribed with their joint mark ‘Tho:& Isabella’. More extensive marginalia reveals glimpses of joint and separate reading. By reconstructing this now-scattered late seventeenth-century library and its annotations, I hope to draw out the intimate interconnectedness of marriage and marginalia in the Hervey household.